In God’s plan for our salvation, the only-begotten son of the Father was also to be the son of Mary. This is simply a fact of history. In the Incarnation of the Word in her womb, Mary entered into a relationship with the Blessed Trinity that no other human being could have. Aside from being the daughter of God the Father by grace, she became, at that moment, the Spouse of the Holy Ghost, and the Mother of the Son. Thus espoused to and made fruitful by God, she was strictly bound, by His Law, to be faithful to that Divine Spouse. Thus, she must forever remain a virgin. The perpetual virginity of the Blessed Virgin is a fact of Christianity. Anyone who denies it is not, properly speaking, a Christian. Anyone who denies it will be damned unless, of course, he changes before death. In this article, we will defend the perpetual virginity of the Blessed Mother, using positive arguments from Scripture. Then we will deal with objections from so-called Christians who deny the dogma. Next, we will give a little history of the controversy over this point. Finally, we will end with a small selection of passages from the writings of early Christians showing the perennial teaching of the Christian Church on this doctrine. The positive arguments that we deduce from the Bible are two: First, according to the Gospel of St. Luke, it is overwhelmingly obvious that Mary intended to be a virgin her whole life. 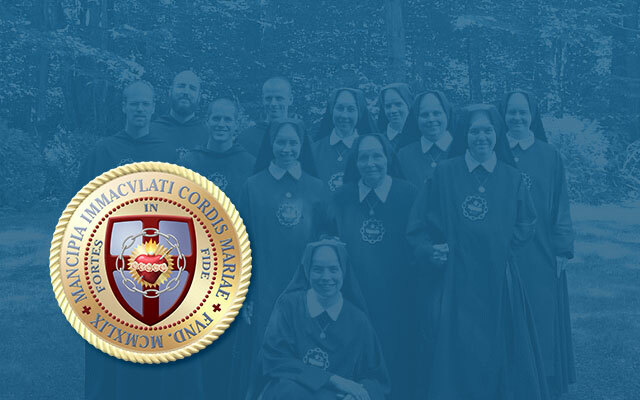 Second, based on many passages, we will establish that virginity is better than the marital state and thus is more suited to the Mother of Jesus. Finally, we will show that our Lord’s words addressed to His Mother from the Cross indicate that He was an only child. The Virgin, who, according to the Protestant Bible, is “highly favored” (Luke 1:28; the Douay-Rheims Version – DRV – has “full of grace.”), is told that she is to give birth to Jesus. She then asks a question: “How shall this be…?” Please note two things: First, the angel spoke in the future: “thou shalt conceive…”; he did not specify when. It was an unannounced future time. Second, at this point in the narrative, St. Luke has already mentioned that the Virgin was “espoused to a man whose name was Joseph.” (v. 27) If the marriage of Mary to Joseph was intended to be a “normal” marriage, in the sense of having marital relations and begetting children in the conventional, non-miraculous manner, then the question “How shall this be…?” is a silly one. Imagine, if you will, a young lady engaged to a man. She is told, by a family friend, “I’m so happy for you! You make such a lovely couple… I imagine your children will be very handsome!” Now imagine the girl responding this way: “Children? But how? Me? Bear children? How does that happen?” Would not the girl be considered an absolute, raving idiot? This is an inexcusable bit of ignorance in a girl about to enter into matrimony, is it not? Now, imagine God choosing such an idiot for a mother. Nobody but the most spiritually soiled hater of truth would dare assert that the Virgin was such a simpleton. Joseph and Mary were observant Jews. This we know – as if it needs proving – from the Purification account (Luke 2:22 sqq.) and other passages. Now, for such observant Jews, there were certain binding precepts concerning marital relations in the Law of Moses. If their marriage was to be a “normal” one, then they were bound under sin to keep these laws. It stands to reason that knowledge of such things was necessary for any observant Jewish couple. On the eve of their solemn espousals, then, a “just” man (Matt. 1:19) and a “blessed” woman (Luke 1:28) would have known both the conventional manner in which children are conceived and the laws pertaining to marriage. Therefore, the question could not be out of ignorance of childbearing. There had to be another motive. The only other reason for Her question to the angel is what Catholics know to be the case: She always intended to be a virgin. At least three early Christians – St. Gregory of Nyssa, St. Augustine, and St. Ambrose – infer from St. Luke’s Gospel that our Lady had made a vow of virginity. Celibacy is better than non-celibacy. Jesus as God was capable of giving his Mother the best. Therefore, Jesus’ Mother was always a virgin. Since this is not an article proving our Lord’s divinity, we will not address the Arian / Unitarian objection that Jesus was “the Son of God, but not God.” Suffice it to say that He who said, “All power is given unto me in heaven and in earth” (Matt 28:18) had the power to give His mother the best. What we then have to prove is that virginity is best. This we will do by citing several Old and New Testament passages which show the superiority of the virginal state over the marital state. We should point out that the Catholic belief on this matter is that, while celibacy is better, the married state is a good thing. There is no “better” without a “good.” We do, after all, call marriage “holy matrimony” and “a great sacrament” (Eph. 5:32). But the married state is not simply a license to have relations. Chastity is still necessary, and, at times, abstinence is recommended. If putting off marital relations for a time had the power to sanctify, then it stands to reason that someone who practiced this abstinence all her life would have more opportunities to sanctify herself. According to Scripture, celibacy for holy purposes is better than the marital state. Since Jesus is God and has the power to give His Mother the best, it only makes sense that he would give to her the gift of virginity. Our last positive argument involves Jesus’ words to St. John in His Agony on the Cross: “When Jesus therefore saw his mother, and the disciple standing by, whom he loved, he saith unto his mother, Woman, behold thy son! Then saith he to the disciple, Behold thy mother! And from that hour that disciple took her unto his own home.” (John 19:26-27; note: the last part should read “took her to his own” as per DRV.) If the non-Catholic position is correct, and Jesus had natural brothers and sisters, handing His Mother over to St. John (whom we know to be the son of Zebedee and Salome), would have been to insult His brothers and needlessly absolve them from their God-given, fourth-commandment duties. It would have turned upside down the “family values” that Fundamentalists and Evangelicals so often extol. A Fundamentalist retort to this reasoning is that, since our Lord’s brothers snubbed Him, He did not want to hand over his believing Mother to them (“For neither did his brethren believe in him.” – John 7:5). There are two responses to this. The first will be treated more completely under negative arguments, but we can formulate it simply by saying that, in this passage, “brethren” simply means “kin.” The second is that one of the four named “brethren” is the Apostle James the Less (Mark 15:40), the son of Alpheus (Matt 10:3; Mark 3:18), who was also the Bishop of Jerusalem (Acts 12:17, 15:13, 21:18; Gal 1:19; 2:9-12) and the author of the first Catholic Epistle. Even if James had left our Lord at the time mentioned in John 7, he had certainly come back by the time of the Crucifixion. “And [Joseph] knew her not till she had brought forth her firstborn son: and he called his name Jesus.” This passage is taken by certain heretics to deny our Lady’s virginity. It should first be noted that the verb “to know” is often used, scripturally, as a chaste reference to the act of procreation. Nobody (that I know of) disputes this. Thus, in context, the word “knew” is accepted by Catholics and non-Catholics alike to mean marital relations. No problem there. The way that non-Catholics read this passage is as follows: “Since he did not know her till she brought forth her first born son, then he did know her afterwards.” This reading is problematic. Before undoing this interpretation, I would like first to point out that this is one of many places where Protestant Oral Tradition is absolutely emphatic. Nowhere in the Bible is it mentioned that Mary had other children. Yet, many non-Catholics insist on this. In doing so, they prove that they really do not regard the Bible as their only source of divinely revealed truth. They are willing to take the human opinions of their (fallible human) ministers and Bible scholars as authoritative in the matter. “Till this very day, I have not seen an alligator fly.” (This, by the way, is a true statement. I have seen alligators, even live and fairly close, but never flying.) If our non-Catholic apologists are correct, then I have to see an alligator fly today. Not likely. There are similar uses of the word in Holy Scripture. “How then doth David in spirit call him Lord, saying, The Lord said unto my Lord, Sit thou on my right hand, till I make thine enemies thy footstool?” (Matt. 22:43-44) In the context, it is the Father (the Lord) speaking to Christ (my Lord). Are we to believe that Christ will be dethroned from the right hand of the Father when He has defeated His enemies? Or this one: “And this I pray, that your love may abound yet more and more in knowledge and in all judgment; That ye may approve things that are excellent; that ye may be sincere and without offence till the day of Christ.” (Phillipians 1:9-10) Does St. Paul wish the Phillipians to be insincere and offensive after the day of Christ? Here is another: “For he [Christ] must reign, till he hath put all enemies under his feet.” (1 Cor. 15:25) Does Christ stop reigning after His enemies are under his feet? It would be odd of St. Paul to say this, wouldn’t it? There are other passages in the Bible which prove our point (e.g., Psalms 71:18 and 123:2 in the KJV numbering), but this would be needless repetition. Unless the Protestant can find an inspired Bible footnote clarifying the meaning in each passage, or unless he can point to an infallible authority who will render a dogmatic decision on the meaning of each passage, he is confounded and must admit that this little word does not prove his point. Another non-Catholic argument is that, since Jesus is called the “Firstborn son” of the Blessed Mother, she must have had other sons. It is based on Matthew 1:25, which we cited above. The assumption is that, if there is a firstborn, there must be others. It is a silly assumption and belies an ignorance of (or resistance to) Scripture. In the Old Testament, there were certain laws applied to firstborn sons. One of them concerned the redemption tax (see Numbers 3:47 and 18:15-16). The parents of the child were obliged to pay five shekels as a redemption tax after the child was a month old. If firstborn means that other children necessarily followed, then there is a problem here. How did they know that the child was to have brothers and sisters when he was only a month old? They were in a catch-22: To obey the law of redeeming the firstborn, they had to break the law and wait until their second child was born before paying the offering. Apparently, the convention among the Jews was to pay the redemption of the firstborn at the same time the mother was purified. The duration of time after which the child was to be presented corresponds to the mother’s month of purification (Lev. 12:4). Thus, in the second chapter of St. Luke, we see the Blessed Virgin and St. Joseph presenting our Lord in the Temple at the same time of Her purification. In the traditional Roman Liturgical calendar, the two mysteries are celebrated on February 2, in the Feast of the Purification, which ends the Christmas season. Another consideration is this: What happened if a couple had their first son, offered the redemption, and then one or both of them was rendered sterile? Did they go back to the priests for a refund of their five shekels? The priests would have had to set up an ESCROW account for all the “maybe” firstborn sons. The simple fact is that all the laws that applied to the “firstborn son” applied to an “only-begotten” son, too. This is what Jesus was. Apparently none of the Jews at Paramount Pictures saw a contradiction between “firstborn” and “only born.” Neither was there outcry among “Bible-believing” Protestants, who ate up DeMille movies like candy. Now we will discuss those passages which supposedly prove that our Lord had natural brothers and sisters because they refer to the “brethren of the Lord” in one way or another. “There came then his brethren and his mother, and, standing without, sent unto him, calling him. And the multitude sat about him, and they said unto him, Behold, thy mother and thy brethren without seek for thee.” (Mark 3:31-32) Here is another such passage: “These all continued with one accord in prayer and supplication, with the women, and Mary the mother of Jesus, and with his brethren.” (Acts 1:14) There are several similar passages, such as: Matthew 12:46; Matthew 13:55; Mark 6:3; Luke 8:19-20; John 2:12; John 7:1, 5, 10; and 1 Corinthians 9:5. The heretical claim is that these brethren (and sisters, too, in some passages) were children of the same Mother. Once more, there is a snag in the argument of our opponent. His Protestant oral tradition teaches him that this must be the exact meaning of brother in these passages, whereas Scripture, common usage, and dictionaries show that there are multiple meanings to the word “brother” (of which “brethren” is the plural in the KJV and DR versions). There are at least three meanings of the word: (1) male child of the same parent(s), (2) male kinsman not of the same parent(s), such as cousins or nephews, (3) someone related by other common ties or interests. What about the New Testament? Are there ever instances of such non-literal usages of the word “brother”? Yes: all over the place. One appears near a passage the Protestants most like to refer to when attacking our Lady’s virginity: “For whosoever shall do the will of my Father which is in heaven, the same is my brother, and sister, and mother.” (Matt. 12:50) Obviously, this is not a strict biological usage of the words. In the New Testament, the word “brother” frequently refers to a member of the Church, a Christian. St. Paul regularly refers to those to whom he writes as “brethren.” (See, 1 Corinthians 1:10, for example.) The Book of Acts refers to members of the early Church that way many times (see 15:23, for instance). Sometimes, however, the word is used in a different sense. St. Peter (Acts 2:29), St. Stephen (Acts 7:2), and St. Paul (Acts 13:26) refer to non-believing Jews as “brethren” for the obvious reason of their being fellow Jews, that is, members of the same nation. So we have these several different uses of the word brethren in the Bible. Is the Protestant who reads the sacred text infallibly able to determine exactly which meaning the word has in each passage? If not, does he have an infallible standard independent of the Bible, by which he can properly interpret the Bible? The answer, of course, is “no” to both questions. Protestants do not advance such doctrinal certitude. They all admit they can be wrong about these things. Since he cannot be sure of what the word means, the heretic cannot assert that it surely means that the Blessed Virgin had other children. The point here is that Scripture is not sufficient, and never was, as a self-interpreting, self-evident text. Some passages seem very straightforward, but their literal sense simply cannot be true. Oftentimes this is obvious, as in “I am the door of the sheep.” (John 7:10) This is obviously the language of metaphor. Many passages can likewise be automatically assumed to be metaphorical simply by the context, at least with a fair bit of certitude. But there are “curve-balls,” such as certain statements that seem straightforward but are not literally true. Take, for instance, this one: “And no man was able to answer him a word, neither durst any man from that day forth ask him any more questions.” (Matt 22:46) This seems like straight reporting, but there is a problem with the second part of that sentence, which, understood in its clear, literal sense, says that no one asked our Lord questions any more after that point. Such a “clear” understanding of the passage is shown to be incorrect when, in St. Matthew’s own account, Judas asks “Master, is it I?” (26:25) after nobody else was supposed to be asking questions. There are, too, the many questions our Lord is asked during the interviews with the High Priest and Pilate. Therefore, the clear understanding, in this case, is simply wrong. This is a perfect defense of the Catholic idea of the necessity of an infallible interpreter and teacher of Holy Scripture. Before presenting answers to the question, let me first say that it is based upon a silly premise, which is that everything in that marriage should have been ordinary. When the firstborn son is the Son of God, and mother and father have angels appear to them, that assumption must be thrown out. We are talking about the household of God. Now I give my reasons for the virginal marriage. They are three: First, the Savior of the world needed to have a natural mother to take flesh. Since fornication was (and is) a horrible crime before God (and was then punishable by death), there had to be an arrangement by which the Incarnation would happen without causing the least suspicion of such a crime. God would not have had it even appear that His Incarnate Son was illegitimate. Therefore, the marriage was necessary for the reputation of our Lord and His Mother. Second, because the Son was a “sign of contradiction,” and had powerful enemies, there was appointed a manly guardian who would protect him from Herod, take him into Egypt, care for the young virgin when there was no room in the inn, etc. When God “emptied himself, taking the form of a servant,” (Philippians 2:7) He entered into our sphere, took upon himself our misery, and came as a weak little baby who needed Mother’s milk and a Father’s protection from bad men. So, the marriage was necessary for the protection of Jesus and Mary. These first two reasons show why the marriage was necessary. Given what was said above, that virginity is better, we may conclude Jesus did not want his parents to give up their virginity. Thus we have a virginal marriage. The third reason is that it gave an example of purity in matrimony. The last argument is based on the dignity of the physical body of the Blessed Virgin: It was the Ark of the New Covenant. The Old one killed a man who inadvertently touched it: Oza, whose story is told in 2 Kings 6:7 (KJV calls him Uzzah and records his story in 2 Samuel 6:7). That body was the new Temple of God, which, like the old one, could not be used for profane purposes. It was where the power of the Holy Ghost rested and worked His greatest work – the Incarnation. What just man would dare to touch the tabernacle of the Most High? What interests us with St. Jerome and Helvidius is not the particular Scriptural argumentation used, much of which has been borrowed by the present author and used in the earlier parts of this article. The reason for the reference to the incident is to make an historical argument. St. Jerome attacked Helvidius’ doctrine as a novelty that had only been dreamt up by heretics. Among these: (1) Ebion (founder of the Ebionites, who, according to St. Irenaeus, “denied the Divinity and the virginal birth of Christ; they clung to the observance of the Jewish Law; they regarded St. Paul as an apostate, and used only a Gospel according to St. Matthew” – Catholic Encyclopedia), (2) Theodotus of Byzantium (who denied the divinity of Jesus, claiming that He was a mere man upon whom the Christ descended at his baptism on the Jordan! ), and (3) Valentinus (an early Gnostic heretic) were the ones who had advanced this position. Against them, St. Jerome argued from an authentic tradition of holy and learned men: “[St.] Ignatius [of Antioch (a martyr)], [St.] Polycarp, [St.] Irenaeus, [St.] Justin Martyr, and many other apostolic and eloquent men” had specifically refuted these heretics, Jerome said. The argument was that the whole Christian world believed Mary to be ever-virgin, whereas only these wicked men could be cited in Helvidius’ support, men whose sects were perverted forms of Christianity. Most Protestants who are interested in the Early Fathers would readily agree that St. Jerome’s witnesses were truly Christians, whereas these others were leaders of strange sects that eventually died out. Similar passages can be cited from St. Basil the Great, St. Peter Chrysoslogus, St. Leo the Great, St. John of Damascus, and many others. In God’s marvelous creation, there are two beautiful female mysteries: virginity and motherhood. The beauty of virginity is attested to by the fact that the young virgin is a symbol of innocent beauty in every civilization. Even the ancient pagans paid odd tribute to it by their vestal virgins and their offering of maidens in human sacrifice. And the beauty of motherhood certainly needs no proof. Only the most unnatural and perverse of men fail to see it. In the natural order, these two gems of feminine beauty cannot coexist in the same woman. But isn’t it just like God to work a miracle so that His Mother can have both? Post partum, Virgo, inviolata permansisti. Dei Genetrix, intercede pro nobis. Unless otherwise indicated, all scriptural quotations are from the (Protestant) King James Version (KJV). For new readers, we note that we do not like this translation, but use it because these arguments are intended for Protestants. All spellings, punctuation, and capitalization in Scriptural passages are as per the versions cited (hence, “to day” instead of “today” is not a mistake, but is the orthography of the KJV. While in the Old Testament, a life dedicated to virginity was not typical (because of the command to “fill the earth”), there were certain precursors of the common New Testament practice of consecrated virginity. It is believed, by Catholics and Rabbinical Jews alike, that Elias (KJV: Elijah) and Eliseus (KJV: Elisha) were celibate. Josephus and other ancient writers also testify to celibacy being practiced by the pious Essene sect of Jews, which flourished around the time of our Lord. For some interesting facts on B.C. and A.D. Jewish thought on celibacy, see the article “Perpetual Virginity of Mary” by the Jewish convert, Rabbinical scholar, and hermit, Br. Anthony Opisso, M.D. (online at http://www.cin.org/users/james/files/talmud.htm. Adversus Helvidius is available on the Internet (http://www.newadvent.org/fathers/3007.htm). By the way, “unto,” when related to time, as in this passage, means the same as “until” or “till.” Do our Lord’s words here mean that He will be with his followers until the end of the world and then stop being with them afterwards?